HARTFORD — The East Armory, topped by the blue, onion-shaped dome, is the most recognized of all the buildings in the city's Colt manufacturing complex, especially by travelers whizzing through the city on I-91. But tucked right behind it is the North Armory, almost forgotten but now about to grab some of the glory. Work will soon begin on the five-story structure, the last major building remaining to be renovated in the $120 million redevelopment of the firearms manufacturing complex launched by Samuel Colt in the 1850s. The Colt Gateway redevelopment — about a third of which is financed by public funds — stretches back nearly 20 years. It is on its fourth developer and was, more than once, stalled for years at a time. The project has gained significant momentum since 2010 under the most recent development team — Hartford-based CG Management Co. and the tax credit investment arm of oil giant Chevron. "So far as the restoration of buildings, facade restorations, this is the last one, " Larry Dooley, owner of CG Management, said. "That's why this building is so important because once we do this, this place is going to look done." There is still a ways to go before declaring the project complete. The $13 million renovation of the North Armory will take 18 months or more and still must gain approval for about $5.6 million in public funding, including $3.5 million in grants from the state Department of Economic and Community Development. Plans call for 36 apartments on the top three floors, bringing the total number of apartments in the complex to 165; commercial space on the second floor; and shops and restaurants or light industrial on the ground floor. Dooley said he is encouraged about the prospects for the apartments, even with the hundreds that are also being added in nearby downtown. All the apartments in the South Armory are leased and at rates that are below the competing units. And there already is interest in the commercial space. Tecton Architects, the Hartford-based firm, has signed a letter of intent to move into the space if the public funding can be secured. The funding would help pay for tenant improvements. Tecton, which has 55 employees, 19 of them architects, now leases in Hartford Square West, less than a mile away. "If all works out, we'd be extremely happy to be there, " Ted Cutler, Tecton's president, said. "It's not only Connecticut's heritage but the nation's industrial heritage." Tecton would be the second architectural firm at Colt. On Monday, another Hartford-based firm, JCJ Architecture, will mark its first day occupying 19, 000 square feet on the fourth floor of the East Armory, just under the dome. During a recent tour of the North Armory with Dooley, it was a bit hard to picture the renovations. On the fifth floor, window panes were temporarily puttied to keep them from falling out. There was a big puddle in the middle of the floor. Looking up, the words "Wolf Pack" had been spray painted by vandals on a skylight. "Luckily, we've managed to keep out the pigeons, " Dooley said, turning down a stairwell. "But you still have some remnants of feathers." The decay evident in the North Armory — built during World War I to manufacture gun barrels and house drafting offices — was typical of the whole Colt complex when the Capitol Region Education Council became the first commercial tenant in 2003. 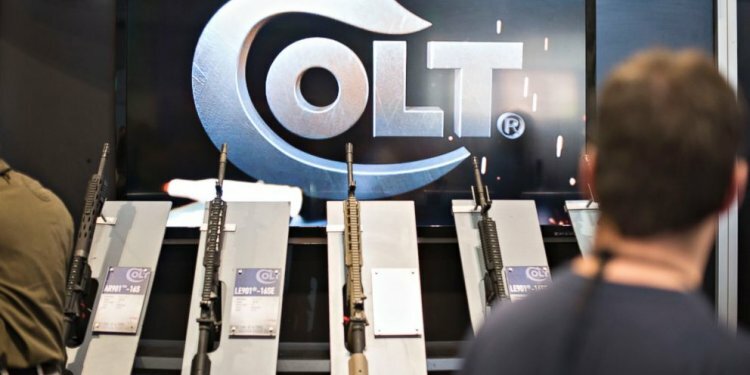 The lease came nearly a decade after Colt's firearm division had consolidated the last vestiges of the company in West Hartford. Sandy Cruz-Serrano, deputy executive director at CREC, said the complex was dilapidated and an eyesore in those days. "As you drove by the city, you'd see the windows were broken, " Cruz-Serrano said, who oversees CREC's construction projects. "Some of the buildings had bricks that were literally falling off." But CREC, Cruz-Serrano said, had its main office less than a mile away and decided to invest in the neighborhood, bringing a school for children diagnosed with autism to Colt. Today, CREC leases more than a quarter of the 630, 000-square-foot complex in four buildings. CREC's need for space for space exploded following the landmark school desegregation Sheff vs. O'Neill case, which resulted in an increased number of magnet schools. CREC has so much space in Colt that it has nicknamed its area "CRECville, " playing off the longstanding Coltsville name. Cruz-Serrano said CREC now wants to take an even bigger stake in the area by purchasing two of the buildings it occupies: the L-shaped building and the U-shaped building. CREC renovated the latter in 2013 for $6 million to house its Two Rivers magnet high school. CREC is now negotiating for a site in "one of the contiguous towns" for a permanent location for the magnet high school. Cruz-Serrano, who declined to identify the town, said the U-shaped building would then house an elementary arts academy program now in Avon, bringing it closer to a middle school arts academy already at Colt. Despite its recent successes, the redevelopment has come at a cost for some: A community of artists and entrepreneurs ensconced in the South Armory was displaced in the early 2000s when apartment renovations got underway, coming with the prospect of higher rents. And, more recently, the complex suffered a setback when its first restaurant, Cafe Colt, closed in October. Dooley said he is talking to a handful of potential replacements. The economic success of the complex was key to winning authorization of a national park for the complex and the surrounding area.